If your home has elevated levels of radon above the U.S. Environmental Protection Agency’s (EPA) recommended action level of 4.0 picocuries of radon per liter of air (pCi/L), then a radon reduction system (often referred to as a mitigation system) should be installed. Fortunately, most mitigation systems cost no more than other common home repairs, ranging from $800 to $1,200. 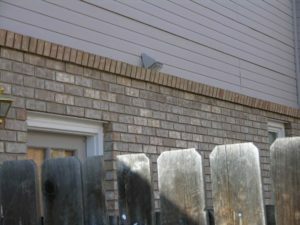 The method of mitigation depends on the type of foundation your home has. Methods differ for basements, crawl spaces, engineered floors, slab on grade, or any combination of these foundations. See the photos below for examples of correct and incorrect practices. 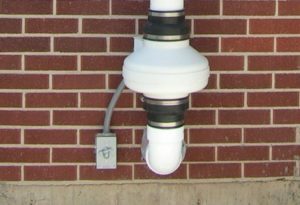 When hiring a contractor, use a certified radon mitigation contractor who is trained in proper and effective radon mitigation. Ensure your contractor is bonded and has proof of liability insurance. If you decide to mitigate yourself, information about mitigation system installation and design is available in the manual Protecting Your Home from Radon, a Step-by-Step Manual for Radon Reduction by D. L. Kladder. 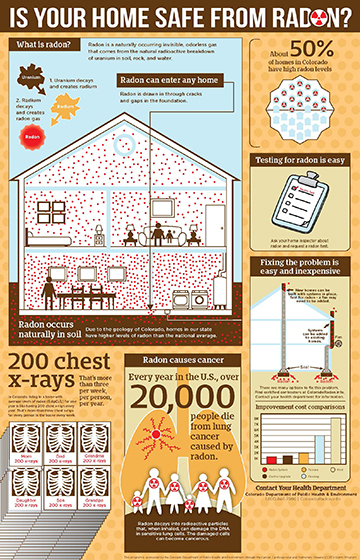 It explains everything you need to know about fixing a radon problem in your home. 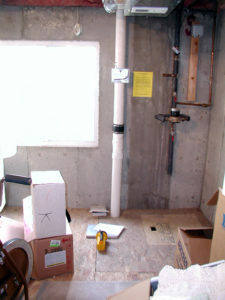 Correct Sub-Slab Depressurization: This picture shows the correct installation of piping from beneath the floor to the fan, which is outside the home. There is a label listing the contractor’s information and a U-tube monometer to indicate that a vacuum is being pulled on the system. Correct Fan Installation: The fan is mounted outside of the living space and is vertical. It is connected to the piping by rubber reducers, which helps control noise. 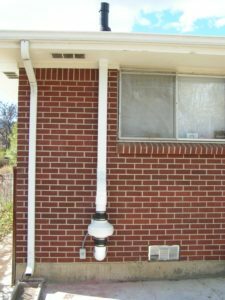 The exhaust from the fan runs beyond the eave of the roof and exits vertically with no cap on the vent pipe. Correct Fan Wiring: The fan is wired to a switch within sight of the fan, which is wired to a GFI circuit. 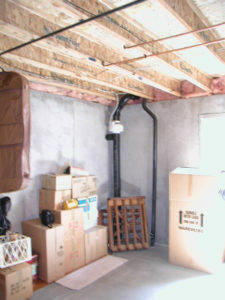 Incorrect Installation of a Fan: The fan should always be outside of the living space of the home, outside the building, in the attic, or in the garage; not in the basement, as in this photograph. 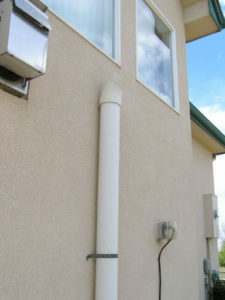 Incorrect Installation of Vent: Incorrect Vent Below Windows – This vent is located beneath windows, which, if opened, will allow radon back into the home.